The direct sales business is a hot industry right now as more and more men and women find solace in self-employment. And with amazingly trendy direct sales companies sprouting up throughout the nation, being a direct sales consultant is starting to look more and more fun, not to mention a good source of income and an opportunity for career flexibility. Then check out these top direct sales opportunities for work-at-home moms. Note: I don’t have direct experience with all of these companies and opportunities, so you must do your homework and research to make sure it is the right fit for you. Mark. is a beauty and fashion boutique that touts itself as having fresh and on-trend products. They have everything from makeup to bath and body to hair care to fashion. For $99, you receive a collection of beauty products and samples, fashion accessories, magalogs, invitations, order forms, thank you cards and a mark. tote to get your business started. We all know what Mary Kay is, and most of us know women who sell it. Mary Kay has been around for decades, which should say something about its reputation, products and program. Mary Kay offers generous commission, a personal website for consultants, luxury vacations and of course, jewelry rewards. And of course, don’t forget the chance to earn the infamous pink car. Avon is another company that’s been around for a very long time. In fact, as an Avon consultant with the world’s largest direct sales company, you’ll work alongside 6.4 million other consultants. Like Mary Kay, Avon also offers incentives like paid vacations and financial incentives. Perfectly Posh is a direct sales company with a focus on pampering products. Products are paraben and paraffin-free, sulfate-free, as well as gluten, lanolin and soy-free. To start selling Perfectly Posh Products, you purchase a starter kit for $99, which contains over 10 products, generous sales tools, a free website for three months, virtual office and placement on their consultant list. Sweet Minerals was founded by three ladies with a commitment to healthful mineral makeup that contains no fillers, irritants or chemicals. For $199 for the first month, you can receive a platinum or standard membership plan and earn anywhere from between 30-40% commission on products sold. After the first month, three payments of $365.33 are due. Simply You touts itself as a fun, fashionable, affordable jewelry company. With a $199 starter kit, you’ll receive goodies that value over $1,000, including 20 pieces of jewelry, your own website, online retailing, e-newsletters for customers, annual national convention opportunities and ongoing training programs. You can also get an additional supplement kit with 9 pieces of jewelry for $99. NYR Organic is a natural health and beauty company that offers cosmetics, bath and body, hair treatment, aromatherapy, supplements and more. For $199, you can receive a starter kit with a $517 value that includes 16 products and business supplies, or for $99 you can get a starter kit valued at $250 that includes 8 products and business supplies. Stream is a line of airbrush cosmetics, makeup products and tanning systems created Academy Award-winning makeup artists. For $50, you’ll receive training material, catalogues, invitations and more. Arbonne International offers botanically-based cosmetics, anti-aging, skincare, and health and wellness products that are made without any harmful ingredients. As a consultant, you receive a 35% discount off of all products and support, training, recognitions and awards. Seriluna manufactures spa products for everyday use that contain the safest, most effective ingredients and are meant to restore balance and enhance natural beauty. The starter kits, priced at $99 and $199 contain full-size product samples, brochures, order forms and promotional materials. You’ll also receive a free website for three months, with $10 per month charge after that. Seacret Direct is a facial and skincare line made with minerals, salts and mud taken directly from the Dead Sea. For only $49, you receive a custom website, business kit with marketing tools, live customer service and an online business manager to track transactions, commissions, etc. Faith Jewelry is a direct sales company that sells beautiful jewelry that is handmade by international refugees who fled to the United States. Jewelry is made from the finest materials around the world, including Swarovski crystals and Czech glass beads. For $195 you receive $505 worth of jewelry that you can pick yourself, and you make 50% commission off of sales. You also receive sales aids and coaching. Even better, you have a great story to share with your clients. Origami Owl is a customizable jewelry company that was built by a 14-year-old with a dream. Though currently a waiting list in place, designers have the option of three different packages to start at. Included in the kit are jewelry, catalogs, order forms, invitations, a carrying case and more. Paparazzi Jewelry is a great idea if you’re selling to fashionistas on a budget. Each piece is only $5, you’re able to choose by color and style and commission is generous at 45%. There are multiple starter kits available, including a $300 jewelry package, a $300 jewelry and hair package, a $700 large home party kit, a $1,400 small boutique starter kit or a $2,750 small event starter kit. With the kits, you also get party invitations, sales bags, display hooks, receipts, consultant applications, jewelry repair kit and more. Just Jewelry was started by two women with a passion for trendy, yet inexpensive fashion jewelry. In addition to 50% commission you can win prizes, car bonuses and annual tropical vacations. Thirty-one is a direct sales company that offers totes, purses, thermals and organizational items that are meant to simplify life. Products can also be tailored to suit customer tastes with embroidery, printed icons, printed designs or laser etching. Looking for a unique direct sales opportunity? Look no further than Jamberry Nails. Available in essentially every color and pattern you can imagine, these nail applications will have everyone asking where you got them from. For $99 you receive a starter kit filled with sales tools, a cuticle pusher, files, hair dryer, buggers, scissors, business cards, nail sheets, 3 months of use on a personal website and more. You’ve seen celebrity bodies adorned with Stella & Dot accessories, so why not give a shot at selling them? Stella & Dot makes direct sales easy by offering fashionable, high-quality jewelry that customers will adore with starter packages running anywhere from $199 to $699. If you love Swarvoksi crystals, you’ll love Touchstone Crystal, a member of the Swarvoski group. For only $99, you’ll receive over $700 worth of Swarvoski jewelry and business tools and get 25-40% commission, cash bonuses and other incentives. advisors across the country serve as style concierges for every customer, ensuring the highest quality of service, customized fit and personal attention. Amway has been in business for over 50 years and is one of the top 100 direct sales companies. The company sells offers nutrition, beauty, bath and body products and more. You’ll receive a welcome kit for $64, and have the option to purchase a welcome kit for $83.99 which includes over $150 of full-size products. Who doesn’t love a dinner party? Pampered Chef offers products that are easy to sell including bakeware, cookbooks, food, stoneware, cookware and more with commission ranging from 20-25%. I don’t know anyone who doesn’t use Tupperware, or doesn’t have to buy it all the time because of lost pieces. When you join Tupperware, you join 3 million other consultants and a reputable, household company. There’s nothing easier to sell to other moms than children’s toys, particularly learning toys. Discovery Toys manufactures learning toys for all age groups and its starter package includes 13 toy samples, business tools and supplies as well as a free website for one month. Nature’s Sunshine offers all-natural nutrition, cleansing, weight management, and energy and fitness products. By working with the company, you’ll receive rebates up to 30% on your own purchases, the ability to purchase products at wholesale costs, sponsoring bonuses of up to 40% and more. Tastefully Simple offers a wide range of easy to prepare food and drink items including condiments, sauces, desserts, dips, collections and so much more for the food enthusiast. For the wine connoisseur, WineShop at Home is the perfect direct sales opportunity, selling handcrafted and artisan wines from Napa Valley. You can choose from a $179 premium business kit, valued at over $350, or a $99 starter business kit valued at $179. You’ll also receive a customized wine consultant website, free for three months. Organo Gold is a company that sells beverages, neutraceuticals and personal care products that contain Ganoderma, a mushroom that’s consumed for its health and longevity effects in traditional Chinese medicine. As a direct seller, you could earn profits up to 100%. Scrapbooking is a hot business right now and Creative Memories is capitalizing on it. The company offers paper scrapbook products, customized albums, gift ideas and more. Scentsy, which began as a distributor of a safe, wickless alternative to candles, is now an entire product line geared towards filling up your space with yummy fragrances. For $99, you’ll get a starter kit with seven demonstration products and an abundance of business supplies. Intimate Expressions is distributor of romance products geared to make every man and woman fall in love all over again. For $49.95, you get a starter kit worth $200 that comes with seven products, catalogs, postcards, brochures and more. You also have the option of purchasing additional supply kits for $30, $60 or $90. Do you want to work for a company that’s not focused on selling jewelry or cosmetics? You could consider Starion Energy, an electricity supplier in the deregulated energy market that is focused on breaking up the monopoly of electricity suppliers and giving consumers a choice on their provider. Starion has independent energy representative direct sales positions available, and more information can be found by contacting the email here. Ambit Energy is another electricity and gas provider in the deregulated energy market. More information can be found on the company here, although no commission structure or startup costs are listed. How does a pink stun gun sound? If you’re an advocate of women protecting themselves and their children with self-defense weapons, consider selling with Damsel in Defense. The company offers female-oriented stun guns, pepper spray, door alarms and other self-defense tools. For $179, you’ll receive multiple stun guns, pepper spray, kid tracker, door alarm, auto tool, brochures, business cards and more. For more direct selling opportunities, visit the Direct Selling Association. 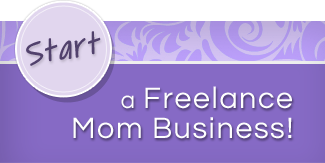 If you have additional opportunities we may have missed that would be perfect for work-at-home moms, feel free to contact us for inclusion on our list of top direct sales companies. If you have direct experience with any other legitimate companies that I did not mention please let me know.